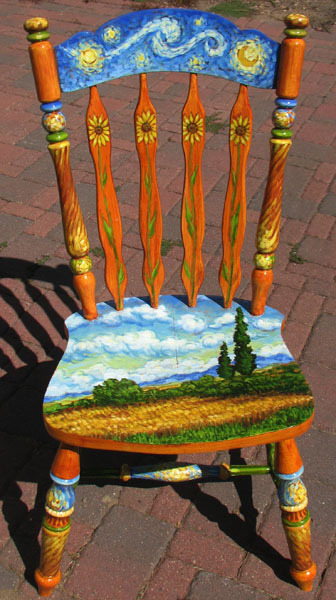 This is the final on my Van Gogh Chair for the Salvage Art Auction, a charity for Habitat for Humanity. I added the sunflowers as the last. i wasn’t really sure how I wanted to to do that part. I put a tough coat of Urethane Varnish on the chair this morning. It put a nice gloss on it. 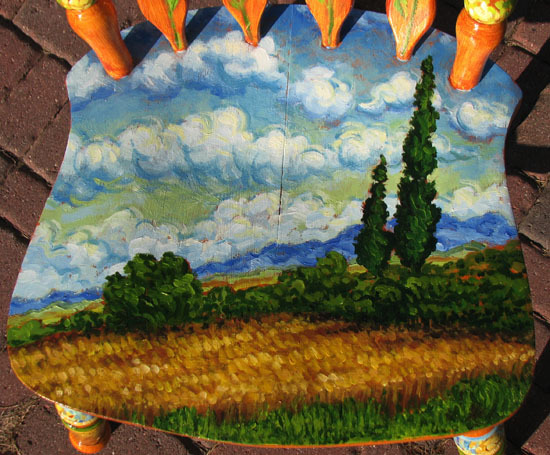 Oh Tracy, that is the most beautiful chair I’ve ever SEEN! I am so amazed at your work. I just would love to see it in person again someday! Thank you, miss you! Hope you have time to create some art!